Laredo Boots offer modern style and western class for the traditional cowgirl. 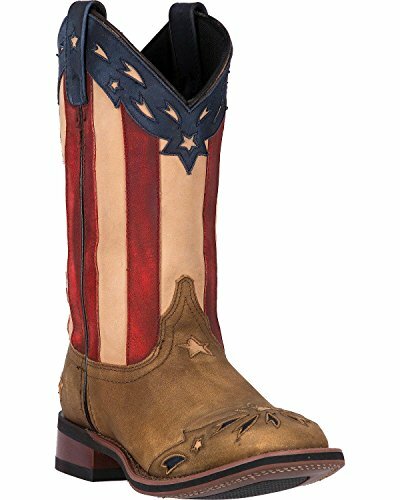 These gorgeous Freedom Cowgirl Boots are made from genuine leather and feature a majestically colorful American flag design. The removable orthotic insoles and Cowboy Approved outsoles give these patriotic kickers the comfort and durability you need in a dependable pair of boots.